The value of the US housing market is going up, according to a report by the Urban Institute. The Urban Institute’s August 2018 Chartbook indicates that total household equity is up to $15.7 trillion, while debt and mortgages stayed relatively steady at $10.6 trillion, bringing the grand total value to $26.4 trillion. According to the Chartbook, 90-day delinquencies spiked following the hurricanes in 2017, but have begun to drop again since then, from 1.45 in the first quarter of 2018 to 1.25 in the second quarter. In Q2, the total number of loans in foreclosure fell to 1.05 percent, bringing the total percentage of homes in foreclosure to 1.05 percent, compared to 2.61 percent in the previous quarter and 2.49 percent during the same time last year. Meanwhile, negative equity and serious delinquencies are on a downward slide. As of the first quarter, properties in negative equity went down to 4.71 percent, while 5.89 percent of all properties are either in or near negative equity. The report also notes that nearly half, or 48.5 percent, of all GSE purchase loans in May 2018 were from first-time homebuyers. This is just slightly down from its highest level in recent history. 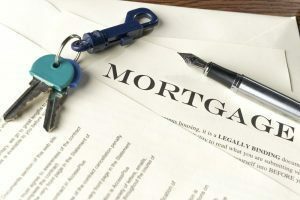 The Federal Housing Administration (FHA) saw an even larger share of first-time homebuyers, with 80 percent of its purchase loans coming from this group of buyers. Combined, first-time buyers made up 59.3 percent of purchase loans. Mortgage affordability has increased as well. As of June 2018, the share of median income needed for a mortgage with 20 percent down payment was 24 percent, and with 3.5 percent down payment, it was 28 percent. Home prices were also going up, though at a slower rate. The Urban Institute reports cites Black Knight data, reporting a home price increase of 6.1 percent year-over-year. Additionally, the report cites a home value increase from Zillow of 8.2 percent. Find the full Housing Finance at a Glance Chartbook here.